The world of big technology companies, a select group of which appears to be reshaping the world in which we live, is also reshaping the world in which we invest. The group is as dynamic as the disruption these companies are creating. For the past few years the so-called FANGs (Facebook, Amazon, Netflix and Google) have been the biggest influence on global markets. Now, the group has grown to include China’s Alibaba and a resuscitated Microsoft, hence the term: FANMAGs. According to David Evans, the executive chairman of Evans Dixon, major Australian companies in traditional industries, including the banks, are likely to be disrupted by the technology and business models of these companies. He told an investor briefing in Sydney last week that “our industry, the wealth management industry” was also likely to be disrupted. Evans and his colleagues at Evans Dixon – Alex MacLachlan, the chief executive of associate company Walsh & Company Asset Management, and Raymond Tong, senior research analyst at Evans and Partners – said that the Evans & Partners Global Disruption Fund was designed to provide a hedge for Australian investors’ typical portfolios and allow them access to the big disruptors. “This fund aims to invest in companies with proven abilities to disrupt and the potential to continue to disrupt,” Evans said. The high-powered investment committee are industry leaders well versed in the thematic of disruption and will be investing alongside new investors in this strategy. The investment committee includes: David Evans; David Thodey (former CEO of Telstra and the chair of the CSIRO); Richard Goyder (managing director of Wesfarmers); Paul Bassat (a co-founder of Seek Ltd and Square Peg Capital); Sally Herman (director of Suncorp Group); and Jeffrey Cole (research professor and director of the Center for the Digital Future at USC Annenberg). Evans said Cole would be visiting Australia for meetings within the next couple of weeks. The Evans & Partners Global Disruption Fund is seeking to raise up to $150 million for investments, predominantly in listed international equities, with an allocation of up to 20 per cent in Australian equities and the ability to go up to 50 per cent in cash as a risk-control mechanism. The capital raising has already passed its $50 million minimum. The offer closes on July 18 2017…….see here for further information. Evans told last week’s investor briefing that after attending a trip through Silicon Valley in the US in 2015 and then a trade mission to Israel, which has become a technology hub, he started to think about the disruption likely to occur in various industries. “Traditional industries like banking, media, medicine and others were moving so quickly, that I thought we needed to find a way to provide investors with a hedge. The Evans & Partners Global Disruption Fund does exactly that by exposing them to new disruptive technologies,” Evans said. “Through the Evans & Partners Global Disruption Fund we intend to provide investors with the opportunity to gain exposure to large-cap stocks that are already disrupting key industries and incumbents. 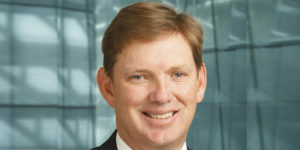 As the investment committee members all have experience working in industries that have either been disrupted or are disrupting others, potential investors have an opportunity to invest alongside very experienced industry leaders – benefitting from their deep business knowledge about the impacts of disruption,” Evans said. The fund will be benchmark unaware and aims to invest primarily in cashflow-positive companies, rather than start-ups.